I started making this recipe when our son was having trouble digesting wheat and dairy, but we’ve kept on making it because it’s so good. I frequently make a double batch and freeze a bunch of them just to have a good snack/breakfast/meal handy for our toddler. 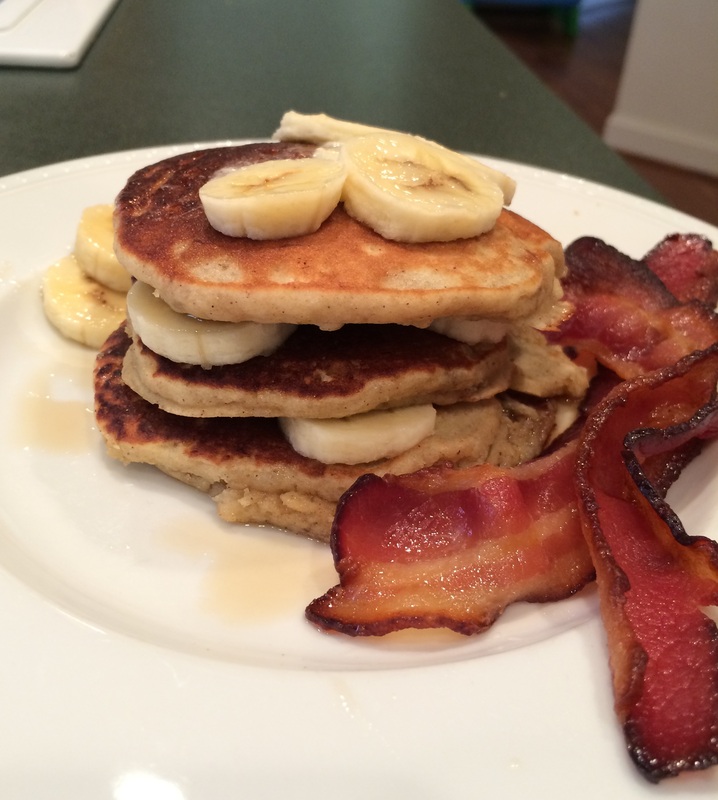 Here’s where I found the recipe: Gluten Free Brown Rice Flour Banana Pancakes. The Roasted Root’s photos are way more enticing than mine! In a mixing bowl, mash the bananas with a fork until mostly smooth. Add the eggs, milk, oil, maple syrup and vanilla. Mix until combined. In a separate bowl, combine the flour, salt, baking powder, and cinnamon. Stir to combine. Incorporate the flour mixture into the banana/egg mixture and stir just until combined. Heat a skillet to medium heat and add a dollup of butter, some oil, or even better, spray with coconut oil. Form pancakes on the skillet (a little less than 1/4 cup each) and allow them to cook a couple of minutes, until the sides begin to set up, before flipping to the other side. Cook another couple of minutes until pancakes are cooked all the way through. These are delicious with butter, good maple syrup, and sliced bananas. For another great variation on this recipe, check out Blueberry Flax Banana Pancakes on my new blog Fresh Whole Homemade.